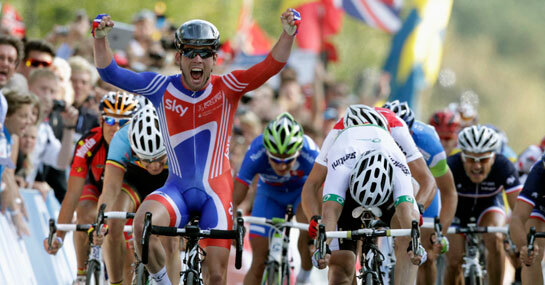 Having achieved as much as he has this year, it is no surprise to see Mark Cavendish go odds-on to be named BBC Sports Personality of the Year for 2011. The cyclist is now 8/13 to take home the award, which would cap off a year that has seen him collect the green jersey at the Tour de France in recognition of points classification, and picking up victory in the UCI Road World Championships. Despite being available at such short odds, Cavendish still represents a good value bet, as winners in past years have shown us that the favourite in the betting more often than not does come out on top. Ryan Giggs’ 2009 tirumph was fully expected and backed in by punters, along with the wins of Sir Chris Hoy, Joe Calzaghe, Andrew Flintoff and Kelly Holmes in their respective years. Indeed, following the media speculation surrounding last year’s winner, and a well-marketed campaign amongst bookmakers, Tony McCoy became the obvious choice in the betting and went on to claim the crown also. Amongst the main contenders for the title this year are Darren Clarke, the 42-year-old Northern Irish golfer who claimed his first Major with victory at July’s Open Championship. He’s drifted to 11/4 to improve on his runner-up position of 2006. Another golfer is also in the running, with Northern Irish star Rory McIlroy an 8/1 shot to gain recognition for a year that saw him pick up his first Major title with a stunning performance in the US Open. That said, McIlroy’s odds, along with the rest of a field containing Mo Farah, Luke Donald and Alistair Cook, have lengthened considerably in the past week. Everything seems to point towards a BBC Sports Personality of the Year award capping off a superb year for Mark Cavendish.